Thanksgiving quickly brings to mind thoughts of savory turkeys, sweet pies, and other beloved sides that have been associated with this holiday over the years. With all the delicious dishes on the table aside most people would agree that this holiday is about more than the food. It's really all about gratitude, as the first celebrants of this day believed. When the family gets together for a special holiday like Thanksgiving, there is often a blessing or special grace said before the meal begins. But since thanks is the focal point of the holiday, why not add another tradition or two that focuses on gratitude, a tradition that may become as special and anticipated as the pumpkin pie? 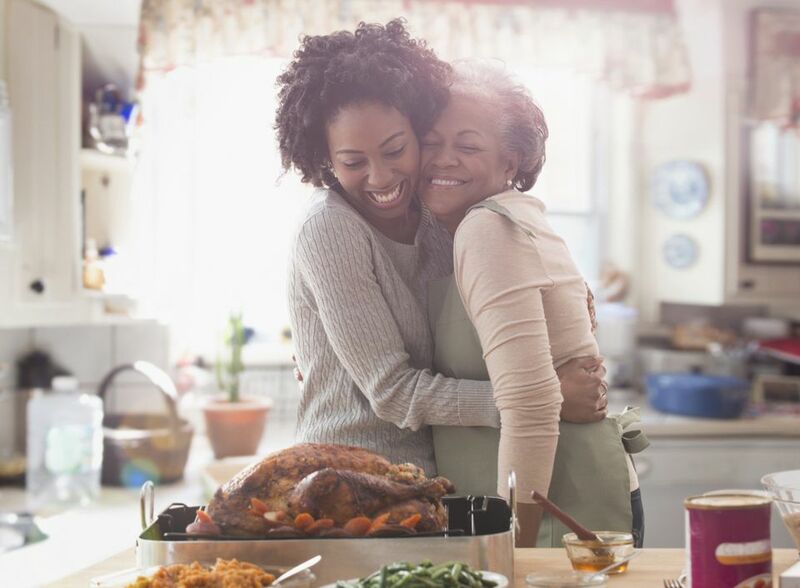 To help you get started, here are a variety of ways you and your family can build on the thankful tradition of this feast. Saying Grace with Thanks - If your family always says grace before beginning Thanksgiving dinner, you can easily create a thankful tradition by asking each person around the dinner table, in turn, to express their thanks for something that has occurred over the past year. Pass the Gratitude Basket - Give everyone a sheet of paper and a pencil. Then ask each person to write down one thing that makes them feel grateful and put it into a basket. Pass the basket around the table and have everyone read another person's paper, followed by the group guessing who wrote it. Thanksgiving Show and Tell - Ask everyone to bring along something that reflects what they are thankful for that year. Then each person, in turn, can share it with the group and tell their story. It might be an item, a photo, a song, or any other item that illustrates their point. Read a Story About Thanksgiving - Read one of these Thanksgiving Books as a group. You can choose whether to read about the history of the original Thanksgiving, fictional stories about the day, or a book about ways for families to give thanks. This could be done as everyone waits for the meal to finish cooking. Or it could be a fun activity in between courses to give everyone a chance to digest. You can take turns reading the story and allow even the younger children a chance to show off their developing reading skills. Have a Thanksgiving Sing-Along - Download and sing one or all of these kid-friendly songs about Thanksgiving that include old favorites as well as songs sung by contemporary artists for children. Play a Thanksgiving Memory Game - Go around the table and ask each person to name something that makes them feel thankful, but with a catch. Each individual must repeat the thanks of all the people who preceded them before adding their thanks to the list. Thanks All Around - Assuming your Thanksgiving table is filled with close friends and family, and not guests who are meeting one another for the first time, go around the table and invite each person to say why they're thankful for the person sitting next to them. It can be the person on their right, left. or even both sides. Make a Thanksgiving Scrapbook - Create a holiday scrapbook that will be more cherished as the years pass. Take a blank scrapbook and each year put in photos of the family and friends gathered that year; photos of all of the food served; add notes about special things that happened that day; recipes for the dishes and notes about who created each dish. Ask each person to write in the book what they are thankful for that year. Thanks for the Memories - Take out the Thanksgiving scrapbook and leave it within easy reach for everyone to enjoy reading and discussing favorite memories from past years. A Picture Says a Thousand Words - Give the children paper and crayons and invite them to draw pictures of the things that they feel most grateful for this year. Create a Thankful Mural - Cover a wall with a large piece of kraft paper. Give the children crayons and ask them to draw pictures and words for those things which they are grateful. Artful Turkeys - Help the children create turkey pictures using their hands. Tell them (or help younger children) to write what they are thankful for on each feather, followed by coloring in the turkeys. When the turkeys are finished, the children can stand up and tell the group what's written on their feathers. Put these in your scrapbook as one of the memories for that year.